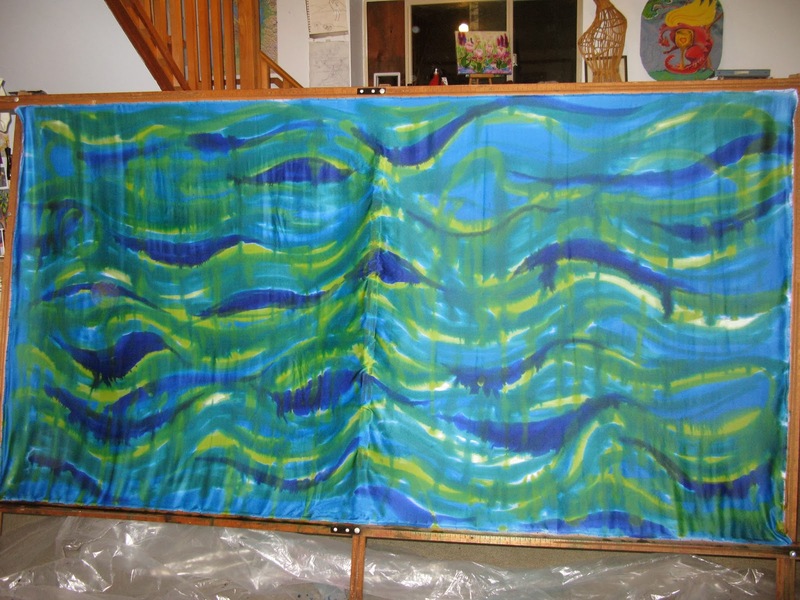 Between dipping silk in indigo, cochineal, etc, I'm painting on silk, working like a mad woman--a joyfully mad woman--to get ready for StashFest, Allison gave me a silk frame big enough to do 2.5 yards of silk, pieces big enough to make something with! The silk frame has rows of tiny nails to hook into the silk. So now I've a new "canvas": silk pieces 2.5 yards by 45". Water draws me. Salt water especially. 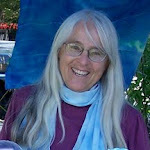 Living on an Island in Puget Sound, my fingers are webbed like a duck and I have salt water in my blood. So of course I paint water. Even how I paint is watery. 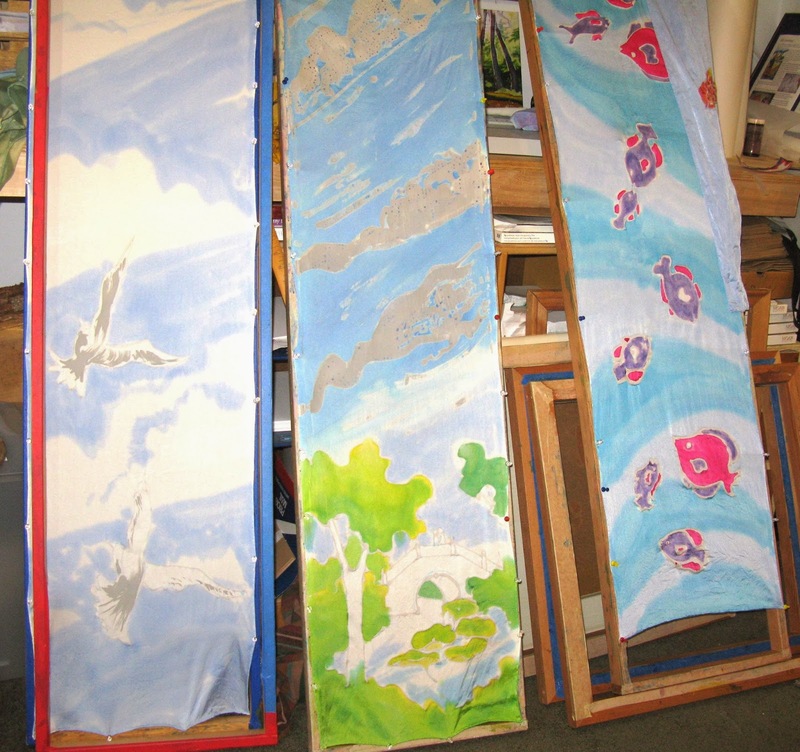 Painting with dyes on silk is like painting on water. I am in love with the way the dye drips and flows, the way colors diffuse into each other. Sometimes the dye flows like waves pushed by the wind, sometimes like raindrops on a window. I love the blues and greens of a sunny day. And sky! White clouds marching across the blue silk, or purple and gold sunset colors, pink and lavender for sunrise. The water birds, the seagulls, the eagles, the herons, and the ever-present crows who keep me company when I do Qi Gung on the beach.... These all find their way into my work. Then on to reds and browns. Greens and redbrowns for a forest floor. Floral colors for gardens. All to be ready for StashFest!